GWO is a non-profit organisation established by globally leading wind turbine manufacturers and owners. Members collaborate and identify work activities where the creation of standardised training can enhance safety for technicians and deliver productivity benefits for their companies. Collectively, GWO members are responsible for a substantial proportion of global on and offshore installed wind energy capacity. New Articles of Association/Statutes were adopted in February 2019. GWO members meet twice a year in a General Assembly in March or April, and a strategy session in September/October. 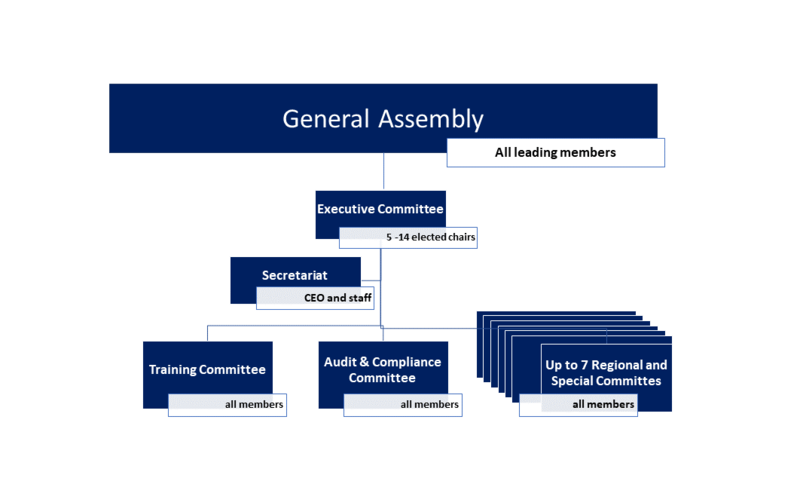 In these sessions, the members formally agree on work plans for coming years and elect Chairs of the Association and Committees. To find out more about the people behind GWO, visit our committee pages.